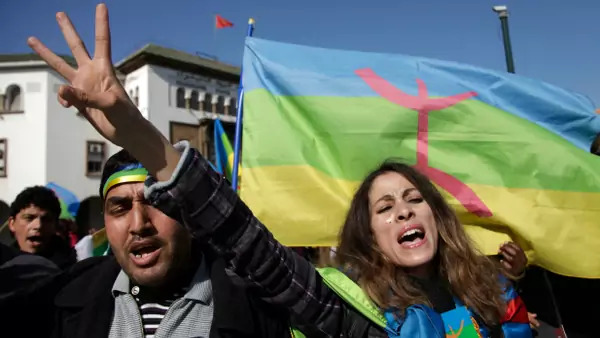 Local Amazigh people attend a rally in celebration of the Amazigh New Year, and also to express solidarity with Libyan Amazigh people, in Rabat (Stringer/Reuters). Reading selections for the weekend of September 23, 2016. Celeste Hicks examines the political struggle of the Amazigh community in Morocco to designate Tamazight as an official state language. Gunes Komurculer laments the changing character of Istanbul as rent prices rise and urban policies prevent cultural preservation of key districts. Egyptian Streets reports on an eighty-five-year-old Coptic Christian who teaches the Quran, along with Arabic and mathematics, to Muslim children in the rural Egyptian city of al-Minya.